Have you ever thought about starting your own business? Today, more and more women are doing so and forging their own path. According to the Global Entrepreneurship Monitor, about 163 million women across 74 countries started a new business. In developed economies, half of the women-led businesses gravitated towards community-driven initiatives, focusing on government, health, education, and social services. Thus, they create shared value, generating business in a way that also produces value for society. Herbalife Nutrition offers business opportunities for men and women to earn extra money while helping their customers achieve a healthy, active lifestyle. In fact, more than half of our Herbalife Nutrition independent distributors worldwide are women. In the stories below, you’ll learn how our part-time and full-time distributors are making a positive impact on peoples’ lives and transforming their communities. A traditional 9-to-5 may be enough to make ends meet, but a side business can give you opportunities to supplement your income. You will likely need to put in the hard work and consistent efforts but imagine using that extra income toward your bills or family vacations. -Tatiana Thomas, Herbalife Nutrition distributor in California. Many women operate their Herbalife Nutrition businesses part-time because of the flexibility it offers. They may be able to earn extra money while dedicating some of their free time to help people become healthier. – Theodora Anagnostakos, Herbalife Nutrition distributor in New York. Many women entrepreneurs commit part-time hours to growing their distributorships, while others dedicate full-time efforts to building their business. Why? They used and loved the products. They became passionate about coaching others. They realized they were great leaders and motivators. They wanted to help more people achieve a healthier lifestyle. Why do men and women aspire to start their own business? These drivers come together in an ultimate desire: to have more flexibility and time for what is important. – Valentina Echavarría, Herbalife Nutrition distributor in Florida. A study by The McKinsey Global Institute indicates that people who pursue their own business tend to be more satisfied with their work lives. They feel more empowered, motivation increases, and they have a genuine interest in their work. – Elian Hernández, Herbalife Nutrition distributor in Florida. Helping someone achieve a healthier lifestyle can be rewarding in itself. But as we’ve seen from several distributor stories, it is more than that – it’s about living with purpose, fighting for a cause, or helping others become better versions of themselves. For many of our distributors, the goal is to coach and encourage others to achieve a healthy weight through personalized nutrition, along with diet and exercise. Social support motivates lasting change. –Melissa Lox, Herbalife Nutrition distributor in California. Herbalife Nutrition’s business opportunity involves creating a meaningful, personal relationship between the distributor and their customers. Building trust is essential to achieve any personal transformation. “I want to build relationships with our customers, helping them find whatever it is that makes them happy. I want to help them find their purpose and break through whatever barrier it is that’s holding them back”. – Rochelle Byers, Herbalife Nutrition distributor in Ohio. Doing the Herbalife Nutrition business allows women to create a chain of wellness. It starts with an individual, but it snowballs into a whole community. –Morgan Martin, Herbalife Nutrition distributor in Illinois. Starting your own business can be difficult if you lack experience or business skills. According to Entrepreneur magazine, women are less likely to explore and expand their services because they think they don’t have the right training, education, advisory networks, mentorships, and community programs. The problem is often accessibility and convenience. Where can women find the resources to build business skills? 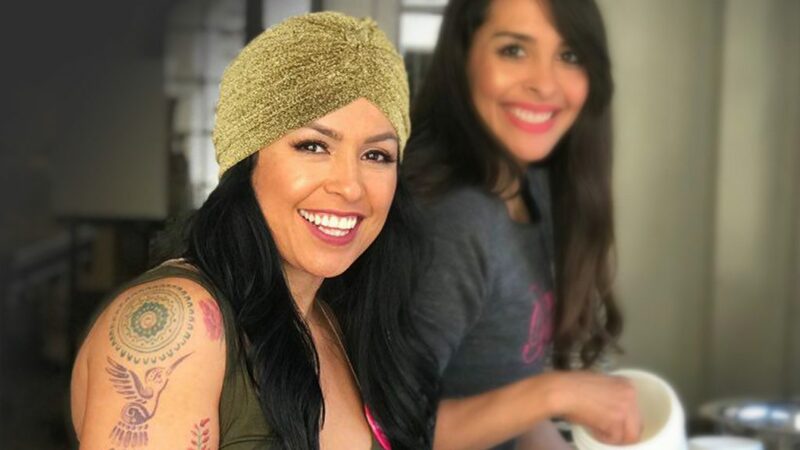 Herbalife Nutrition is a great starting point for entrepreneurial women, offering a 1-1 mentorship model, in addition to marketing and sales training tools and events for independent distributors. Training events are also available to support new distributors building their businesses**. Clear business methods are often refined and improved to meet evolving customer demands. – Delfina González, Herbalife Nutrition distributor in California. How to craft a business plan and track expenses. How to open and run a nutrition club. Product training: key benefits, usage and safe customer recommendations. Sharing your business, product or weight-loss testimonial with confidence. This education is supported by the mentoring relationship distributors have with their sponsor. That close one-on-one connection encourages and motivates new distributors to acquire knowledge and training, so they can best serve their customers. Angelica Cruz, Mexico. Angelica holds quarterly workshops for women to focus on overcoming self-esteem challenges, identifying strengths and empowerment. Isabel Ruiz, Puerto Rico. Every two months, Isabel holds workshops addressing women empowerment. She focuses on identifying current strengths to boost attendees’ self-esteem. Laura Holloway, Midwest and California. Laura’s workshops focus on building women communities. The purpose is for women to find strength in other women and support each other. Jessica Gutierrez, Texas. Jessica developed a weight loss program for women. They use online and offline communities, focusing on setting goals and building confidence. Karla Sandoval, California. Karla’s workshops focus on women in business, Latinas in the corporate world, and overcoming negative perceptions in the workplace. *Income depicted is unique to the individual and is not typical. Achievements require skill & consistent work. For typical earnings, see Statement of Average Gross Compensation at StartHerbalife.com. **To learn more about our Gold Standard, click here.